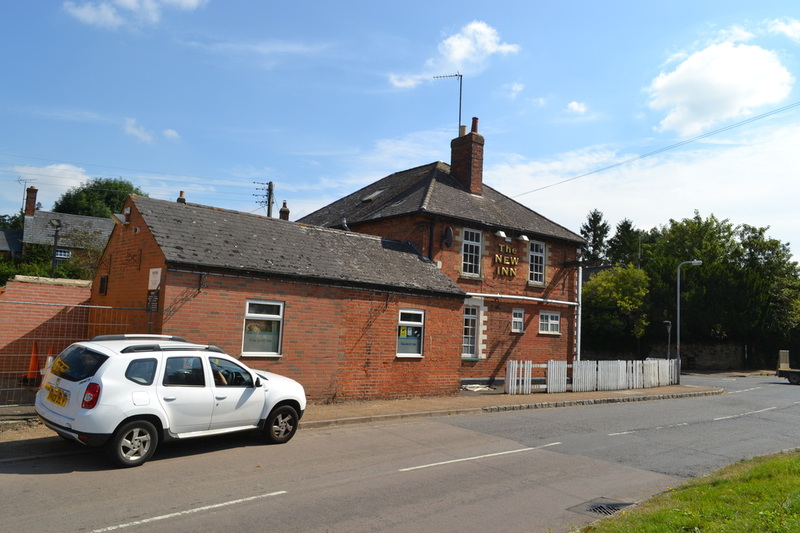 The earliest date for a Ringstead pub is around the year of 1785-95 and this was for The Axe & compass public house, a little later came The Swan around 1830-1840 there is evidence that The Black Horse existed around 1840 with a James Hill the first landlord, but like many pubs they were not only used for beer selling but court hearings too. 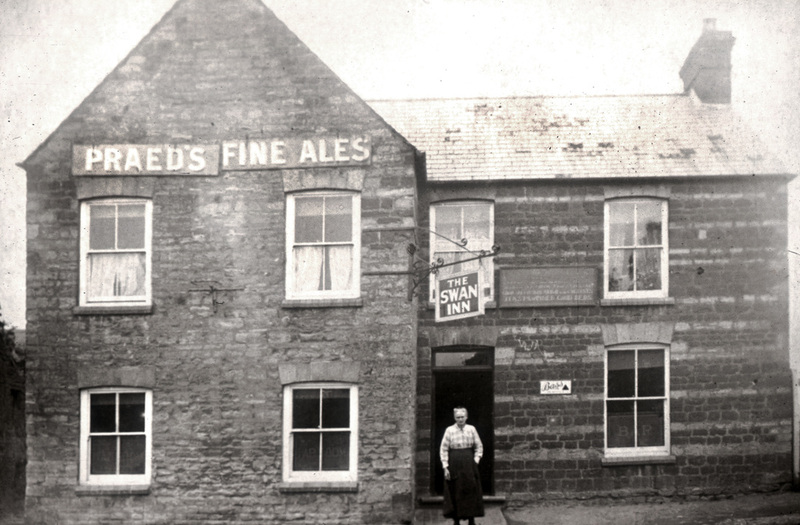 The New Inn public house started off in life as a shoe factory in 1858. But in 1859 it was for sale at a auction at the Axe & compass. The buyer was Samuel Figgis a beer house owner in the village, this was bought for £51.00 and would of started trading around 1860.
. The Working Men's club was built in 1900, as there is a report of the club's first club annual outing being in 1901.This was first built out of corrugated sheeting and then in later years a brick-built club with a central coal burning fire in the middle of the club room where many a person would huddle around in the cold winters. The following year there was a function room extension.. There are other reports of beer houses in the village but these was not properly licenced and a little hit- and-miss affairs. Some owners would just buy a few barrels of beer and open their living room up to sell beer or wine. One such property was the old cottage which recently has been extended in Denford Road on the sharp bend and owned by a Mr Lamford at present. 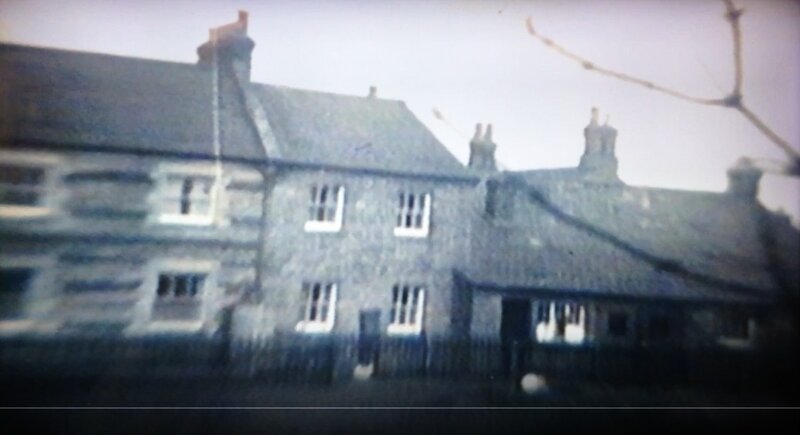 He has shown that there are beer receipts from the horse drawn carriage drivers who were on route from Thrapston to Raunds and called in the beer house for refreshments at this cottage. There was a serving hatch which led to the cellar, but now has been built over. As I’ve mentioned earlier these pubs were just not beer houses but used for court hearings and funeral services and even the dead were seen to be prepared for burial. One such case of a local man who murdered his two children then who committed suicide had his Enquiry held at the New Inn in 1918. It is also noted that Ringstead football teams both the home and away team would get changed in some of the pubs mainly The Swan and The Axe and Compass. 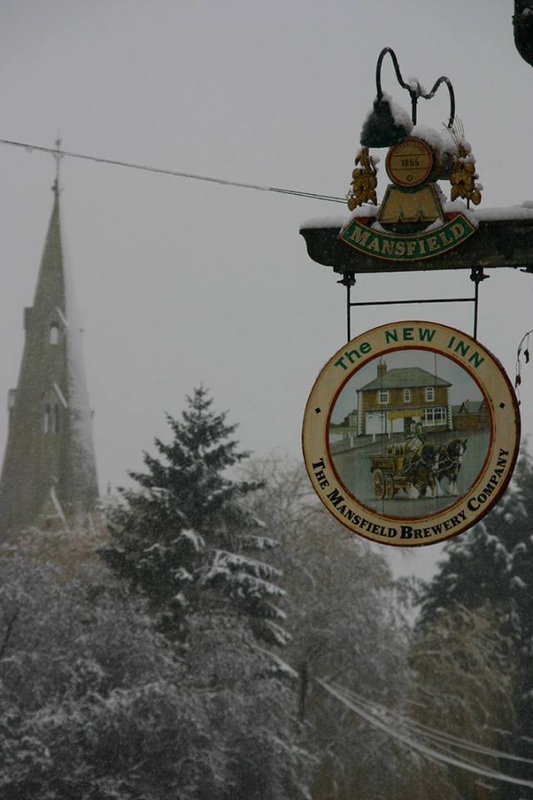 In the year of 1869 we see reports that in The Black Horse paddock part of a village feast and carnival was held along with the grounds of The Swan public house. There was even a football ground at the rear of The Swan public house and this was used many years until it moved to where Cornaways garage was on the junction of Station Road and Carlow Road. At the front of The Black Horse was a paddock and next to the paddock facing Back Lane was Beeby’s orchard with a narrow lane leading up to Back Lane. This was mentioned in the court case of Lydia Attley at Thrapston court with Weekly Ball being spotted in this orchard on the night of the disappearance of Lydia. Each of the pubs in the village had their own events taking place, The Axe and Compass held a bicycle club, a football team meeting place and even village fetes were held at the rear of The Swan, whilst The Axe and Compass held motor rally meets, football team changing room and court hearings, the then famous Axe Jazz band held many a concert and the band would practice in the pub.The Axe and Compass even had its own tennis team, both men and women. Its noted that in 1880 the biggest feast of all time took place in the village having the land at the rear of the swan and the paddock of the Black horse used to hold the many Amusements and stalls, even Carlow street each side was full of stalls. Many people from the surrounding villages would visit the feasts and visit families they haven't seen from one year to the next. The New Inn was more known for the senior court hearings held in the lounge part of the pub, but as you will probably remember or know, this room wasn’t particularly big. Never-the-less hearings were held here and as previously said earlier the room was used to prepare the dead for burial. A village lady would get a shilling for each body she prepared. Over the years Ringstead Club has had its moments too with various acts playing at the club and during the week they held whist, skittles and darts matches. It is noted that in the 1970s the club had very good attendances for its dances there, but in the 1980s it seemed to fade slightly in attendances . There has been many a good dance at Ringstead club and some of the county’s top bands and comedians have appeared at the club at times with punters coming from all parts of the county. The Black Horse closed in 1906 when its licence was taken away due to lack of punters plus it was mentioned it was quite a terrible mess inside the property. The Black Horse was at first a private house. It does not appear by name until an 1847 listing in the Post Office Directory. It is likely that a James Hill who is in the 1841 Census, aged 55, with his wife Ann, and described as a publican is living at The Black Horse its first mention as a ale house. In its whole life The Black Horse only ever had two family's running it, the Hill family and the Robinson family . It does get quite a few entries in the newspapers of various functions and dirty deeds taking place over approx 66 years it was a public house. One was a slightly comical story of a court case in Wellingborough Magistrates' Court. It was of an evening when James Hill was charged with keeping the inn open past 10 o'clock on a evening. Shock horror, imagine that these days. It was proved that the church clock at Ringstead was not going on the night in question, and the magistrates gave Hill the benefit of the circumstance, and dismissed this charge The church clock would have been visible from The Black Horse window but it also implies that there was no clock in the house. It is likely that this incident was part of the new county police force flexing its muscles and laying down the law in a strong manner. In the late 1800’s when Ringstead had its carnival and for a few years part of the carnival was staged in the Black Horse paddock,which would had been straight in front of the pub and up to the recently built house stands now. Further up in the direction of Back Lane there was Beeby's orchard and in those days there was a pathway leading to back lane,and on the night of Lydia Attley's disappearance its documented in the court hearing that a witness saw Weekly Ball walking down the pathway by the orchard and then passing The Black Horse pub, as though to say after his “deadly deed” this was his route home after the murder. The pub saw many inquests held there one being of a John Line, a local farmer, who one evening was sitting high up on bales of hay on a cart coming back from his field who after a bumpy part of a road was jolted off and fell between the horse and its cart. He was driven over killing him instantly. Doctor Makenzie was called for from Raunds but nothing could be done to save him. In the inquest in the Black Horse in 1903 it was recorded as accidental death. This was just one of many inquests held in the pub over the years. 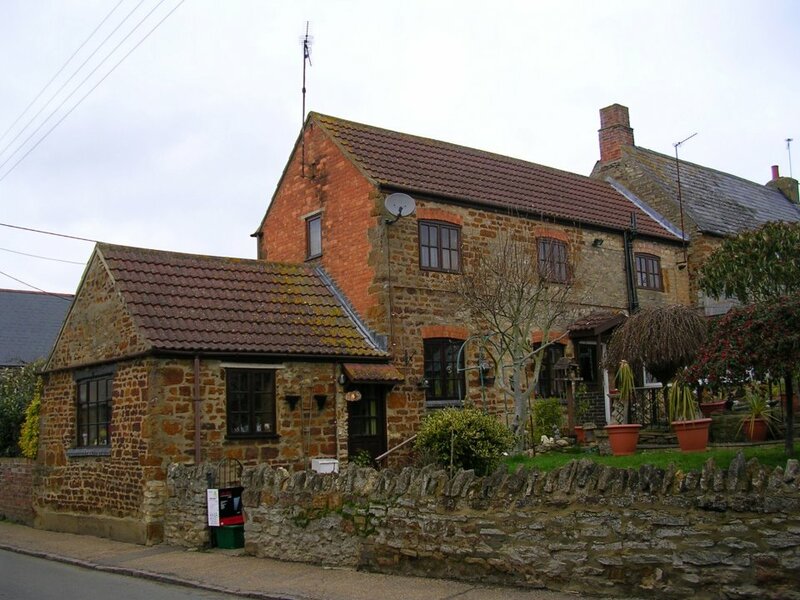 Today Alan Clipston lives in the cottage and former pub and has done since the 1950s. He did mention that in the first part of the cottage which was the butcher's there is still the tiled floor with lettering on the tiles “Butchers Shop”. When it was used as one whole building the first part was the butcher's, next part the pub bar, next part would be cellar then where the family next door (Mr. Feary) lived would had been the living quarters. Before Mr Clipston lived there a Mr Alf Gant lived there. Prior to this a Mr William Robinson had the butcher's shop. Into the 20th century, and the start of Ringstead Workingmen's Club in 1900. Having a new club next door to a public house, The Black Horse, was its slow path to closure in 1906 .We know that in 1906 there were 6 beer houses and three other public houses in the village and with the population of 950 it was indeed a struggle finding custom for these beer houses. So its recorded that a certain councillor, Mr Honeybun supported the objection of renewal of a public house licence to the Black Horse. This was carried and by the end of 1906 and the pub ceased trading. Although part of the building which was closest to the road was also used as a butcher's shop this too soon ceased trading. Mr Honeybun also reported that The Black Horse was the worst pub in the village with its most unpleasant smells and untidy manner. Maybe it didn't help having a butcher's shop in the next room to the pub. A brief mention of the Working Men's Club is needed as it was the building of this in 1900 that put the final nail in the coffin of the Black Horse. When the Club was first constructed it was built out of corrugated sheet metal and the size of approximately 10 x 10 metres, then it got extended over a few more years. A good example of such a building is the little green tin house next to Dodson and Horrell on Denford Road. Very similar in construction and very cold in the winter. In the club in the early days there was one log or coal burner to heat the room up. Someone did mention to me that certain individuals took their own bags of coal up to the Club. I was informed by a friend of mine, Richard Hackney, who remembers the club having a new installed vinyl type floor in the function room in its early years. This new type of flooring had to be sealed by a special sealant. However, for one reason or another this was notapplied. A day after the new floor was laid there was a dance held in that room and by the end of that evening the new floor was completely ruined and had to be taken up and a new floor re-laid. Mrs Elizebeth Robinson and Mr Arthur Archer outside their pubs, The Swan and New Inn. 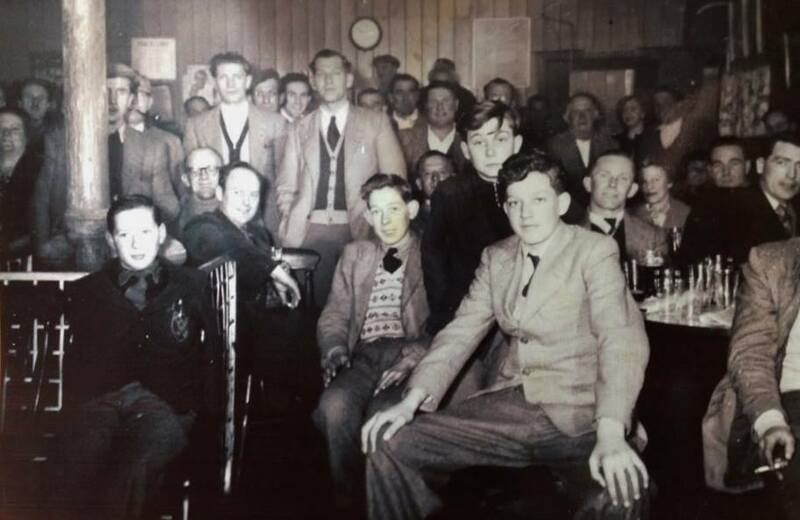 Above is Ringstead Social Club and below is a 1954 photo taken Inside the Club showing the central coal burning fire stove,the young boy on the left is one 14 year old Gerald Andrews with his Raunds School blazer on. Other names here are-Bob Davies,John Sales-Freddie Giddings-George Hatt-Russel Deary-Bodge Bannister-Steven Ilenkiw-Albert Farr-Chozzer Mayes-Sidney Mayes-Frank Webster-Rodney Chapman-Alan Major-Nigel Webster-Jethro Weekly who ran the New Inn-Mick Feary-Lesley Lamford. Zena & Ben Allen-Harold Craddock-Pete Peacock-Roger Weekly. May well have Been a Skittle Tournament at the Club that Evening. Above is Mrs Robinson standing at the doorway. A Mr Fred Winters, who was also a player of Kettering Town football club, was the last landlord of The Swan in 1955 until the pub ended life as a public house. These days it is a private house. Its worth noting too that Mr Robinson had a butcher's shop also,but according to one Mercury newspaper report it was not the best kept butcher's in the village out of the four shops. Its worth mentioning that there was in the period of 1800-1930 at least five beer houses in the village. Although the Black Horse wasn't a pub such as the New inn or the Swan, there was not boarding up saying its "The Black Horse", it was simply a private house that sold jugs of beer and could accommodate just a hand full of people, it still had to keep an alcohol licence. Towards its demise it was getting a bad name for itself as rather untidy smelly public house. Just a few yards down and the second house after the village hall was the next beer house belonging to a Mr Amos Weekly. Two block terraced with an archway separating each house. Next beer house was mainly a footwear shop run by Mr Childs and he seems to have got into trouble on more than one occasion for not having a licence. Further down the street and baker's shop of Mr John Scholes who also kept a barrel or two of beer. Next would be the property of Samuel Figgis in Chapel Street and going into Church Street there was Peacock's beer house opposite the church. Over the years and many many landlords this pub has been Involved with many village functions, even the crockery king held his sales in the car park, it was used in 1895 as Ringstead rovers and united football club changing room,then the early 1930s Ringstead tennis club used it as their headquarters and held tournaments in the grounds and even held the base during the 1950s for a travellers park before moving up to Denford road. Many times too its held Auctions for property too and includes the Auction of the New inn, before this it started life as a small boot & shoe factory then in a auction in 1857 it was sold to local bobby noted in the Mercury newspaper.Samuel Figgis was eager buyer but soon put his wife in charge. When we look at the first recorded ale keepers the name John Green &Thomas Green were the men who was in charge and no doubt a relation to the famous Green family of Ringstead,not to get confused with a John Green who ran the post office, this was late 19th century early 20th when he was in the village as post master. In 1891 Ringstead bicycle club held there meetings at the pub these were run by a Lewis Ruff,the great feasts of the village in the late 19th century filled the Axe gardens up with stalls and you can imagine how busy the pub would had been in these times. 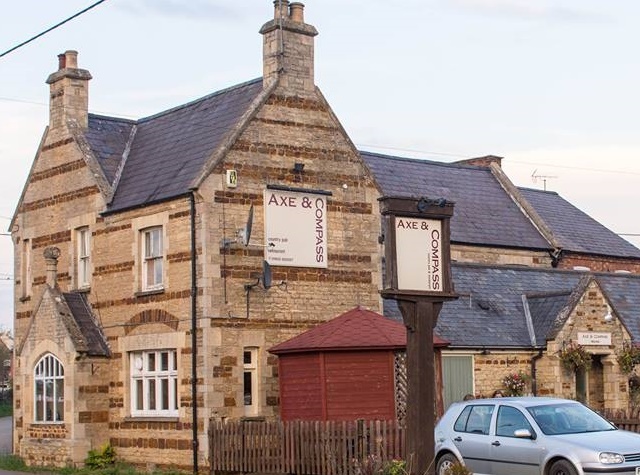 In 1887 the Axe had its first extension built. There were many Inquests held at the pub up until 1930 and probably the saddest Inquest of all was the death of a Miss Barker who ran to the river from the village house then jumped of the willy watt bridge into the cold waters and drown, her father accused her of stealing 1 shilling from the family pot. In 1895 landlord Freeman Gaunt was fined 44 shilling for being drunk on his own premises, few weeks later Freeman died and the pub licence was granted to his wife Margaret Ann Gaunt. In the time Herby Thurlow was landlord he used to keep the village cricket teams gear in an out building and during games down the 2nd meadow he would take crisps and soft drink to sell to spectators so Richard Hackney tells me but also talks of one of the best skittle teams around were from the Axe & compass and a proud team these were too. 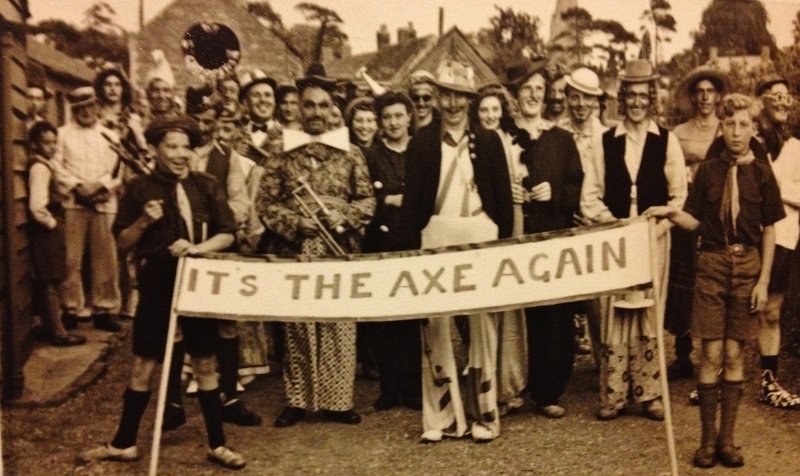 Going back to the 1940s and up to the 1950s the fabulous Axe & compass jazz band had its head quarters at the pub, this wasn't a proper Jazz band but a band made up for carnivals and feasts and fairs playing the music of the day, the boys dressed up as women ! So over the time it has been a public house its been involved in many functions and club meets whether it be Tennis,football,tug of war,skittles and darts its been the most busiest of all the Ringstead pubs and i can look back even to the 1970s when I was a teenager and i remember the first pint i drank in the pub from the landlord Eddie Hamm where on occasions Eddie would take his false eye out and drop it in a pint of bitter and start supping which at the time made many of us laugh. Below the Ringstead Jazz band outside the pub just before they set of to join the carnival 1948. Axe and Compass Jazz band had a dozen men who could play a Trumpet or some form of a horn section and who could blow tunes of the day. This “Jazz band" would play at Carnivals all over the county, getting awarded top prizes ,there would be some of them banging big drums,some singing,some just walking with big smiles and playing best of their ability the tunes of the day. everyone who saw them loved them thoroughly It was all simply good fun and lasted roughly around ten years. ​Sadly they only lasted around 10/12 years and dissbanded. The Axe and Compass In 1935, picture taken by Albert Fox.